This handcrafted formula won’t dry your hands out! 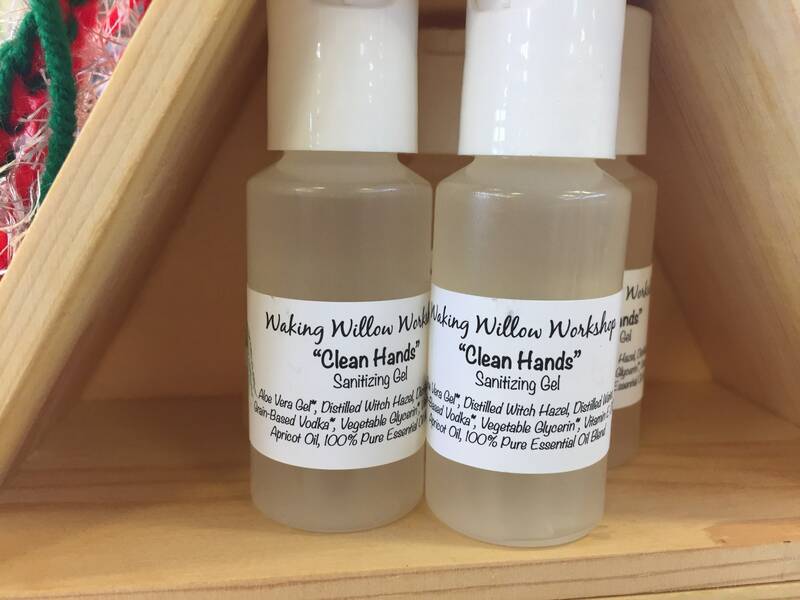 A non-chemical and naturally scented hand sanitizer made with essential oils, incorporating the beneficial properties. Ingredients: Aloe Vera Gel*, All-Natural Witch Hazel*, Grain-Based Vodka, Distilled Water, Vitamin E Oil*, Apricot Oil, 100% Pure Essential Oils of Tea Tree (Melaleuca alternifolia), Lavender (Lavandula officinalis), Sweet Orange (Citrus sinensis) and Rosemary (Rosmarinus officinalis). Available in 1 oz., 2 oz. and 4oz. bottles.